To upgrade or not to upgrade? Such is the question plaguing many iPad 2 owners as we approach the launch of Apple's latest tablet. Many online retailers hope to ease the transition by offering cash and store credit for your used device. 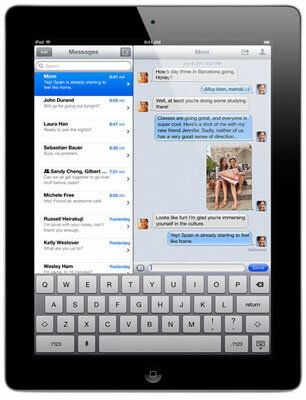 Assuming your iPad 2 is in decent condition, you could be eligible for upwards of $300. Apple's own Reuse and Recycle program offers gift cards for your crusty Apple gear, including the last-gen iPad. The company is willing to shell out up to $320 for "perfect condition" iPad 2 64GB 3Gs with no scuffs or other wear and tear. You can expect less credit for lower-specced units or those in worse shape. Even in the worst case scenario, the company will dole out ~$50 for an entry-level iPad 2 16GB Wi-Fi that doesn't start and has no accessories, a busted battery, engraving, as well as scratches, scuffs, cracks and water damage. That includes free packaging for the device and shipping to the company. Hard to argue with that. If you'd rather have Amazon credit, the mega-etailer offers as much as $300 for a 16GB Wi-Fi unit and $460 for a 64GB 3G version -- possibly the best trade-in prices we've seen, but again, busted devices will fetch less. Some speculate that by providing such a high exchange value, Amazon hopes to score Kindle Fire sales. Many other outlets including Best Buy, eBay, GameStop, RadioShack, NextWorth and Gazelle have a similar service with varying promos (eBay offers cold hard cash if that's what you're after). Interestingly, some stores seem to tag Verizon models with a lower value (about $50 less on average in the case of GameStop).